Li Fu has earned the Best Teacher Award at the Shen Yang Conservatory of Music three times and has been active in cultural exchanges and workshops internationally. Fu was born in 1935 and started studying horn at age 10. His teachers were Mr. Shimizu from Japan and Mr. Kosikin from the former Soviet Union. He joined the Shen Yang Military Command Band, and in 1956 he became a soloist, playing most of the Mozart horn concertos, Beethoven Sonata, Saint-Saëns Concertpiece, and the Gliere Concerto. Fu retired from the band in 1961 and began teaching at the Shen Yang Conservatory of Music. He served the Wind Department Coordinator for many years and established the wind teaching curriculum for the brass department. Some of his ideas have been published in Chinese music periodicals. Many of Fu’s students have won prizes, are playing in orchestras, or are teaching at conservatories. Fu has attended IHS symposiums and helped to arrange visits by well-known teachers and players to his conservatory as well as to other conservatories in China. 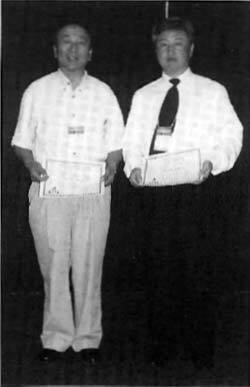 Fu received the Punto Award at the IHS symposium in Beijing in 2000.